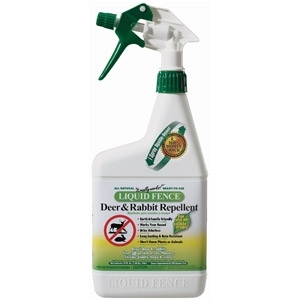 Use to repel Deer & Rabbits from gardens & landscaped areas. Long lasting, rain resistant & works year round. Will not harm plants or animals.